The quality of a system is always judged by the results that it has achieved, not so much in one or two isolated cases through a brief trail as over a period of time among a great number. The actual results in exercise are more important than the actual results in business, as judged by the fact that as long as you have health and strength you can recuperate from a business reverse, but when the body is badly impaired, the value of life and its achievements are both lost. Money cannot buy health and strength. Nature sets too high a value on these gifts and will not barter them for gold. In this she is worse than Shylock, exacting her due to the last fraction, even if it has to your life that is forfeited. However, to those who are willing to follow her promptings, she is wonderfully generous and bountiful. During my lifetime, I have watched thousands upon thousands of health seekers take up the reins of right living, and have seen the actual results achieved. Many have actually passed through my hands, and I am glad to know that I have helped to a certain extent, to place this glorious gospel of body culture in many places. It has a fascination for me, and I am justly proud of the products whose wonderful bodies and glorious achievements were the results of my efforts. Some of these examples I am going to bring before you, and show you in just what condition they were when they took up this great work, and I hope that the lesson their life provides will make some of you ashamed of yourselves, and all of you determined to go and do better. My first example is going to be of one young man, who, while entirely unknown to any of my readers, or the athletic world, became one of cherished friends. It all happened like this. Some years ago I was standing in the doorway of my shop, after having taken an invigorating workout in the gymnasium that was on the floor above. I was happy and enjoying the fullness of good health. I always seemed to feel a greater gratitude and exhilaration as I felt the blood coursing quickly through my veins, and the muscles smoothly gliding under my skin after a workout. One of "God is Good" feelings. Approaching me, from the left side of the street, was a slim, young fellow, about five feet seven inches tall. He aroused my curiosity as I noticed he was not whistling. Of course, he had the privilege of not whistling for once if he liked and I suppose you might figure he was entitled to rest once in a while. That was not it. When you know a chap to have a definite habit, and to be always laughing or whistling, every hour of the day, there is something psychologically wrong when he makes an omission. Human nature does not work that way. The nearer he came the more my belief that something was wrong was confirmed. His eyes were fixed on the pavement, and a look of abject misery was pictured upon his face. His stride seemed to wilt under the serious oppression of his thoughts. Mental telepathy, if you want to call it such, signaled to me, and for the first time I spoke to him. He did not hear me; but I spoke again, asking him how he was. His face twitched as he mumbled a reply and his step faltered. I felt an awful pity for him, as I could plainly see that he was sick. I drew him inside and invited him to tell me what was wrong. It was a story that has been told before, but he was one of the exceptions, when he was reaping the harvest of his wild oats too early in life. He had always had weak lungs and a combination of the violent dissipation of youth and neglect had set their seal upon him. Tuberculosis. He had just come from the doctor, who had ordered him not to work for one year. The mountains and a sanatorium were prescribed, as usual, but the boy had no money and he had a home to help support. I talked to him for over an hour, and told him I was sure that I could help him if he would do as I told him. It was the straw to the drowning man's clutch, and he tearfully grabbed it. I got to him just in time. Within two weeks he was sleeping restfully, without the torture of the racking cough. A month and he was a changed being. Six weeks, and he was back doing light work, and inside of three months he was working in the factory at his former job. He trained and followed my instructions as only one who is fighting for his life will. During that time I had kept him with me all the time. If I had occasion to drive out of town he went with me, although we were totally unlike in our make-ups and I was easily ten years older than he. But as he found that his strength was returning and he was actually getting better that he had ever been in his life, the pall of my more serious nature began to bore him. Gradually he slipped back into his old life, and I seldom saw him. I had done all I had promised, and it was his own life he was living, so I figured it was useless to say anything to him, for he was old enough to know better. Despite our opposite nature I had gotten to like this nineteen year old boy. Whenever I did see him he was the same laughing, merry, whistling boy, who had already developed an affection towards me. A year slid by and with it a tale was retold. There are some things with which a man can be fooled, but on one can hide certain conditions from one who has spent his life doing one thing. Whenever I saw Don I noticed the gradual sinking of the cheeks, and the shadows that were forming under the eyes, and that little hacking cough which he began to blame on cigarettes. But he began to avoid me, and I had no intention of going out of my way to play the good Samaritan if my aid was not required. One evening his sister called on me and told me everything. He was ashamed to come back after he had realized his folly. The upshot was that he came back, but the struggle was much harder this time. I had told him that I could not promise anything a second time, but he had to choose between the straight and narrow path, once and for all, or disaster. He was a game fighter, and he made good. Better still, he remained good. From a horrible wreck of about one hundred pounds, he built up into as tough a piece of manflesh at one hundred and fifty pounds as I ever saw. He would wrestle with me like a demon as one of my partners, and he played on the forward line of the football team I captained. We developed and inseparable friendship, with absolute devotion on his part. He had learned his lesson and swallowed his medicine like a man, fully realizing the value of it and what exercise could do for him. He is settled down now, with a fine little wife and a child to bless their home. We were nearer than brothers. He never left my side, and was always the last to grasp my hand as I stepped into the arena and the first when I stepped out. My honor was his honor, for which he would fight like a tiger. I helped him back to health, and gained one of the finest pals a man ever had, which balanced the scales perfectly. I am sorry if I have allowed my affection for a friend to lead me to digress from the actual subject, but still this example proves what can be obtained from a clean life built of from following the true principle of body culture. Also the story of Frank Dennis affords one of the finest instances of how low a man can be pulled down, and how high he can rise. Dennis was a victim of the great "Flu" epidemic that swept through the country a few years ago. He developed double pneumonia, which left him with a weak heart and badly weakened lungs. He developed hemorrhages and in four days lost sixteen pounds. Invalided home from the hospital, he was a complete wreck. During his convalescence the study of body culture began to appeal to him as a means of reclaiming his lost health. At that time I was located in Pittsburgh, but he came to me, and I am very proud to say that within two years he was the winner of the middleweight weight-lifting championship of America. Actually six months after he had commenced under my supervision he had stepped into the record creating class, making his first record with a performance in the wrestler's bridge lift. From one victory he passed to another, until he secured the champion crown. His wonderfully formed body has since been an inspiration to thousands. Every line and every curve shows up with rugged strength. His chest, which was once so badly sunken, swells out in a magnificent roll, with a depth that proves the great volume of lung power that has since been his. There has not been the slightest recurrence of either heart or lung affection since he started rebuilding his wasted frame. To look at his hefty pair of legs no one would believe he ever had such a thing as a weak heart, for the legs are the hardest members of the body to build up when such has been the trouble. Care and patience must be always remembered, otherwise the great quantity of blood that is required to nourish these big leg muscles would keep the heart in a weakened state. Dennis is like most people who have come up from the shadow of the grave. 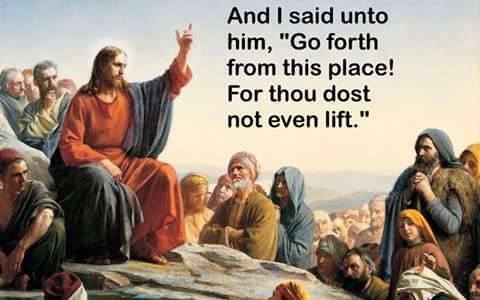 He is a zealous apostle of body building, and never loses an opportunity to demonstrate his vast physical capabilities for the benefit of others. The occasion when Dennis laid down and allowed an automobile to run over his abdomen is fitting evidence of the quality of his muscular resistance. He had no cushions under him as a protection, neither did he have sloping blocks for the car to run up on and off, like other performers. He simply laid on the road and allowed the machine to run over him in order to prove and argument. Then we have the case of Charles Shaffer, another star athlete, who has graced the vaudeville stage with his impressive physique and super-athletic abilities. Shaffer is only a small man but he is a veritable dynamo of energy. Struck down with double pneumonia, he almost left this world behind him, and his convalescence was so slow that all hope was abandoned on several occasions. However, the spark of life lingered and grew, and soon as he was out of bed he began to make plans for the future. I had the great pleasure of taking him in hand and guiding him until he went on the stage. He advanced more rapidly than any other man I ever knew. As his body began to develop he formed a great inclination for hand-balancing and tumbling. It was a step I greatly encouraged, although he made his athletic debut as a wrestler on the Pittsburgh "Y" wrestling team, and cleaned up honors in two classes in one night. 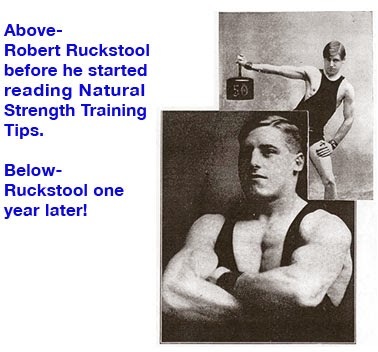 In his advanced stages of training he took up the sport of weight lifting, and made some remarkable records that still stand. The unusual development of his body began to excite attention, and he took up the art of posing. With all credit due to all of the splendidly built athletes I know, I believe that Shaffer has the most outstanding muscular development of any. Every muscles stands out as clearly separated from the other as though each one was chiseled out of marble, and he has remarkable control over them all. He succeeded John Fielding as the bantamweight weight-lifting champion of America. Fielding was another of the many who had come under my tutelage and climbed to the top. He came under my direction when he was in his thirties, after he had tried the best specialists in Europe, Britain and this country to overcome organic trouble. I was, fortunately, successful with this Massachusetts athlete, who became known as the "Pocket Hercules." Fielding retired from active competition with honors, but with all due respects to my earlier protégé, I have to say that Shaffer was the daddy of them all in his bodyweight class. He is a Hercules in miniature, overshadowing for both strength and physical development such stars as Artie Edmunds, Paolo, and Luis Hardt, also ranking as one of the greatest hand-balancing performers that ever stepped on the vaudeville stage. He became so interested in the demonstration of physical efficiency that he forsook a lucrative occupation to become a professional performer. While remarking about the skillful abilities of Shaffer, and the former pupils, it came to my mind that some readers may wonder why I include these facts, as it can be easily recognized that I do not mention their feats solely as a proof of how good they became. You will notice that they became adept in a certain line of sport quite early in their body building process. It really was a part of their program. I always studied their athletic inclinations. Whether they had any previous ability before taking up body culture or not, their interest quickly developed in one certain sport. I fostered this interest, for I always found it a very valuable aid. It increased their enthusiasm, and they could see the actual results of their labors as they went along. At the time of the disbanding of the troops after the war, one young man, who was the son of a local minister, had broken down under the rigors of the Russian front. He was discharged as medically unfit, developing lung trouble from exposure and pneumonia. He was a sorry looking sight when his father brought him to me. Standing about six feet three inches, he weighed about one hundred and twenty pounds, and his whole appearance was one of emaciation. However, he build up rapidly, and I got him interested in fencing. He became quite adept at the foil game, and within six months of starting training, dating from the night of his introduction to me, he was representing his university in the national fencing tournament. He won second place, losing by just one point. I have not seen him for a few years, but I do not have to see him. He has been shown what has to be done, and he got the full benefits of the results. I know he has brains enough never to forget the value of the teachings of exercise, and so I know that he still keeps up a valuable policy. All who come to my attention are not, by any means, the victims of ill health, but rarely has one come forward who had plainly evidenced the great possibilities that he finally developed. Take Marineau and Fournier for instance. They both were very ordinary young men in the first place. Any other ordinary person of their weight could equal them, but they took a great interest in the study of body building and finally became keen adherents to the sport of weight lifting. Their success and great achievements in that sport are due to diligence, perseverance and an intelligent application of right training principles. I remember when I was training on the other side, a man of about thirty-eight years of age came to see me at my training quarters. He was a Sandow pupil and a very wealthy English business man. Indigestion had been the bane of his life for years , and all medical help seemed futile. He became a pupil of Sandow at the suggestion of another athlete with whom I was acquainted at that time. Sandow certainly made a man of him, but it the other fellow I want to tell you about. His name was George Heywood. He was the son of a millionaire English manufacturer, and when I knew him he was a fine specimen of manhood, and a crack amateur bike rider of those days. Bronchitis and heart trouble had cost his father a small fortune, and finally his despairing parents were told that it was useless to go further. His son might live six months, but nine months was hardly possible. Quiet and rest were advised, and an army of attendants waited on his every move and call. One day George put the proposition up to his father like this, "Listen, dad, you have done all you can for me, and we have tried everything but one thing, and I want you to let me try it. There is no use of your kicking, for I am going to die anyway, and I much prefer dying trying to get health, rather than waiting for death to claim me." The son got his own way, and Sandow was responsible for his cure. What amazed me most was, that in less than six months afterwards he competed in a one hundred mile bike race and won it. Of all sports, bike racing makes the heart work harder than any other. Heywood was a splendid wrestler, gymnast and weight lifter, and I used to enjoy seeing him work out. When we wrestled he would bore in like a young lion, and the sparkle in his snapping eyes shot out glimpses of the buoyant energy and joy of living that he was enjoying. I have had the pleasure of handling a great number of men, with great success, who lost the use of certain muscles as a result of injury in the World War; but there are no miracles about such cures if you want to call them that. They are much as I wrote in the chapter on "Curative Exercise." The physician had done his work and the rest was left to exercise. It is just a logical application of the right method of physical training. Remedial gymnastics was a godsend to the gassed, paralyzed, and semi-paralyzed soldiers of the World War. When all medical aid had been given the patients were returned to civilian life, cured and one hundred per cent fit. Is that not wonderful? Try to realize that if it had not been for remedial gymnastics all those men would have been thrown back into the wage-earning struggle, handicapped, incompetent to hold down their former jobs. There are thousands upon thousands of disabled soldiers who have a heart full of praise for the value of exercise. 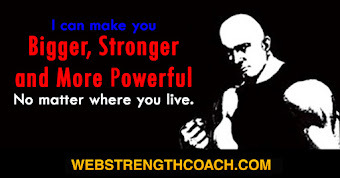 Of recent years one of my best productions is Albert Manger, the well known Baltimore weight lifter. Manger, within eighteen months, developed from a sickly, underdeveloped man of one hundred and twenty-nine pounds to one hundred and eighty-two pounds of as fine a piece of manhood as you would wish to see. The moment he strips he arrests the eyes. To look at him you would imagine he weighed two hundred pounds, so massive are his muscular proportions, and his ability to lift in both slow and fast lifts bears witness to the splendid coordination of speed and strength that he possesses. 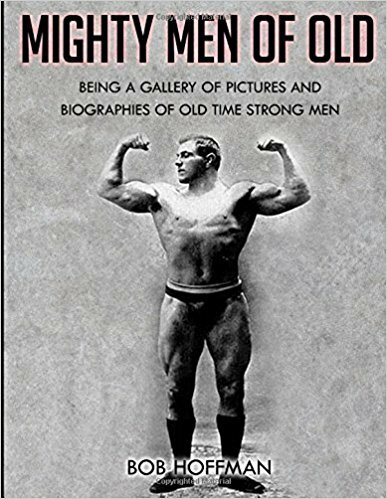 Then there is David P. Willoughby, the famous Pacific Coast athlete, who, while only a light heavyweight, won the American heavyweight weight-lifting championship, He was formerly a slender, almost scrawny, individual when he first took up progressive training, and I can safely say that at the present time he is one to the finest athletes in the country for both build and ability. Although Ottley R. Coulter was no pupil of mine, yet his experience holds a valuable lesson. He started out training as a much under developed young man and developed into a world's champion in his bodyweight class. Coulter is remarkable in many ways. He is one of the few of the great athletes who allowed his studies to take him to a real depth below the surface, which is all so many bother with. I have a great admiration for him as a man and an athlete, and he has been a great help in promoting the cause of right thinking, with right exercise, in this country. 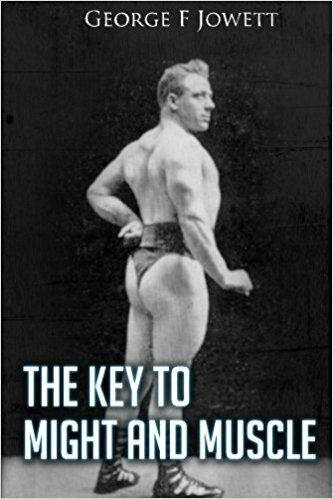 He has a marvelous control over his body, and I believe he was the pioneer introducing muscle control in America. When Sigmund Klein took up progressive body training he was only a very ordinarily built young man, but most of you are familiar with the splendid results he obtained for himself. 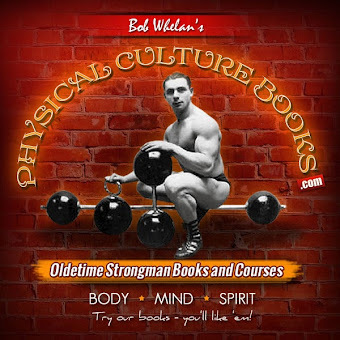 As I allow my mind to consider some of the obstacles with which many body builders have had to contend, I am inclined to become provoked at others. The truth is, that many young fellows do not know how well off they are when they start in. Just think of the struggle Joe Nordquest had. He lost his leg below the knee in an accident when he was a young boy; this set him back considerably. Originally he did not have a husky foundation to start with, as many imagine. He was quite light, and there were times when he began to think that he would never succeed, but Adolph, his elder brother, and one of the most magnificent athletes America ever developed, was always a source of inspiration to him. 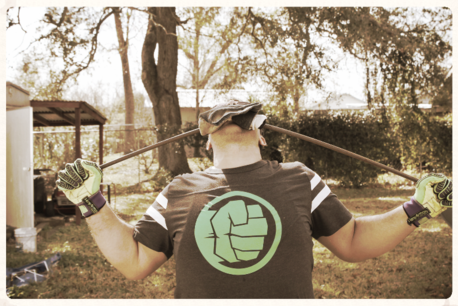 With that one great handicap he continued to plug away, and it took time to get there, but he got there just the same. 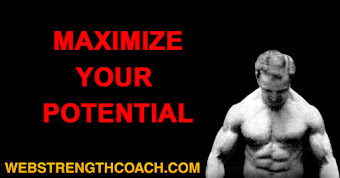 He practiced weight lifting and became extraordinarily efficient in all forms of strength, and has raised enormous poundages in various lifts. 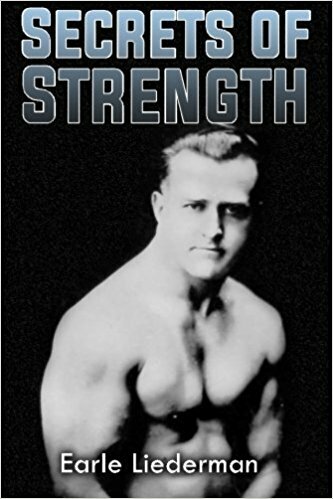 Although Joe has retired from the sport, yet his name, his feats and his powerful physique will retain an honored place in the history of the strong man and muscle builder in this country. Despite his great weight he became a fine hand balancer, and was the heaviest man I ever knew who could make a single hand stand. Another incident that claimed my admiration, in which an athlete was handicapped with the loss of a limb, was Charles Maw, and English boy. He weighed about one hundred and twenty-six pounds. As the result of an accident his arm was completely taken off, but this plucky little man went into the field of muscle culture with a bang. He acquired a wonderful body, and in the bent press, he was credited with a lift of two hundred and twenty-four pounds. One incident brings to mind another. Anyhow, I was very familiar with an officer who had served overseas and lost his leg, and was distracted to know what he would do when he returned to civilian life. By profession he was a surveyor, and naturally his casualty eliminated him from that occupation. I knew he was a good jumper, so I suggested his to take up training again, build his body up, and study balancing to control equipoise. He did, and made such a success of it that he became a professional performer, and made a better and easier living than he had in pre-war days. H. E. Keeseckin, of Peoria, Illinois, was discharged from the Marine Corps for heart trouble. He later came under my attention and within eighteen months he wrought a marvelous change in himself. Organically and physically he became perfect, as did A. Batsis, who was such a wreck from stomach and intestinal disorder, that he only weighed about ninety pounds at the start of his training. Nine months later he displayed a body that was a real prize winner, and I had the pleasure of making him over. These are just a few of the men, out of thousands, who got practical results from following practical body building exercise. I have not picked only the best examples, for I know of others who have become greater even than Nordquest. There were men who had to fight the ravages of lung trouble, liver and kidney disorders, heart weakness and the disadvantage of crippled limbs, like O. Martin, of Attica, Indiana, who suffered with infantile paralysis, and today is one our shining examples of physical fitness. What they all had to encounter and overcome, and the final achievements, they secured in build and ability, should be a real inspirational lesson to every one who does not have any of these things with which to contend. To those who have, these examples should be a beacon to guide them to the greatest goal that life presents. The value of their success cannot be judged in gold or priceless jewels. In itself, it is the incomparable prize, a glorified body, that is fighting fit with health and strength, obtained by the handiwork of nature through its servant, progressive body culture.